Should cash transfers be conditional or unconditional? Putting ideological views about the approach aside, policy outcomes are most often a reflection of practical limitations and political considerations. This can be said to account for the emergence of ‘soft conditions’, involving community enforcement. Conditional cash transfers require beneficiaries to comply with specific conditions to be eligible for the transfer. These are often related to school attendance or health care. Unconditional cash transfers do not require any specific actions to be undertaken by targeted beneficiaries. The decision about whether a new programme is (un)conditional is not simply a reflection of stakeholder philosophy. Policy outcomes are rather the result of a negotiation between networks of stakeholders holding different ideologies, roles, and objectives. The academic literature is full of debates around conditionality (see for example: Baird et al., 2014; Schubert and Slater, 2006; Gaarder, 2012). There is a large debate about whether conditions are actually useful, and if so, in what context (Covarrubias, Davis, and Winters, 2012; Davis et al., 2012). Is it just to impose conditions upon vulnerable people (Freeland, 2007), especially when the right to social protection is enshrined in international conventions such as the Universal Declaration on Human Rights (article 22)? Who carries the burden of complying with conditions? This goes both for the beneficiaries as well as for the implementing parties. Does the absence of conditions lead to dependency and complacency? What are the gendered impacts of conditions? Evidence from Latin America suggests conditions might make the life of female heads of households more difficult (Molyneux, 2008; Chant and Sweetman, 2012). I argue that much of the country-level debates around cash transfers are dominated by the ‘practicalities’ on the ground and the political environment within which a programme needs to be realised. Let’s be clear: successfully implementing, monitoring, and evaluating conditions is expensive. This is both due to the required ‘infrastructure’ and due to ‘recurring expenditure’. The result is that policy-makers ask themselves: what is in our case the best use of our money? If conditions require children to go to school, adequate schools need to exist, and qualified teachers need to be hired. If (prospective) mothers must visit health clinics, these need to be accessible without too much effort, and be adequately staffed. One can imagine that implementing related conditions is costly – especially in situations where such facilities are currently non-existent or overburdened/under-staffed. These infrastructure/capacity problems exist especially in rural areas, which tend to be areas cash transfers focus on. While one might argue that the money to build a school is a ‘one-off’ cost, this is not where the costs end. The above begs the question: if you want to monitor impact, what do you monitor? For example, monitoring whether ‘more children are attending school’ might ignore whether or not children are actually learning in school (UNICEF, 2017). To achieve impact also requires consistent efforts on the part of numerous actors: teachers need to register attendance more carefully, local staff needs to collect and relay this information, etc. This means staff from government Ministries at various levels; from the community level to the central-Ministerial level, need to be made available. We also know that government bureaucracies in developing countries are frequently overburdened. After all, many programme officers at the local level have other competing responsibilities. Hiring more staff could theoretically solve this, however in most cases this is not possible due to government finance constraints. Another factor that plays a role in determining whether conditions will be imposed is that of politics. Many of the politicians I have interviewed in this regard indicate that ‘handouts’ are wrong and that ‘if people work for their money they appreciate it more’. They argue that conditions can aid in preventing beneficiaries from ‘wasting the money’. However, even when conditions are imposed, the absence of effective monitoring can undermine political will for a variety of reasons to do with things like public support and (perceived) lack of evidence on the programme’s effectiveness. There is therefore resistance in government to cash transfers as a tool of social and economic development, due to scepticism regarding how the cash is used. We also shouldn’t forget that politicians resort to anecdotal observation of how the cash is used and its overall impact. This has led to many myths concerning the impact of cash transfers surfacing. As such, these debates are not fundamentally different from debates held in developed countries concerning social security beneficiaries who have to comply with certain conditions. Cash transfer policies, especially in Africa, are not unilaterally determined by politicians. Sometimes, the policy process comes up with a sort of hybrid, which can be referred to as ‘soft conditionality’ (Davis et al., 2012). With soft conditionality, beneficiaries of the policy – and their wider community – are informed about the objectives of the programme. The idea is that (regularly) reminding people why they are receiving the cash transfer increases the likelihood of achieving the programme’s goals, without the monitoring and evaluation (M&E) burden of a truly conditional programme. Soft conditionality leaves much of the unofficial M&E to be performed by the community. For example: Malawi’s Social Cash Transfer Programme includes what they call a ‘school incentive’, whereby beneficiary households with children of a school-going age receive an additional transfer. There is no strict monitoring of school attendance, however anecdotal evidence suggests communities find it important that these children actually go to school. While there are certainly ideological origins to debates concerning conditionality, government decisions concerning programme design are more frequently shaped by the constraints imposed by limited government funding, poor infrastructure, and political considerations. While the distinction between conditional and unconditional seems very rigid, there is also evidence that countries have found alternate ways of ensuring cash transfers have a meaningful impact. Baird, S, Ferreira, F H G, Özler, B and Woolcock, M (2014). “Conditional, Unconditional and Everything in between: A Systematic Review of the Effects of Cash Transfer Programmes on Schooling Outcomes”, Journal of Development Effectiveness 6 (1). doi:10.1080/19439342.2014.890362. Chant, S and Sweetman, C (2012). “Fixing Women or Fixing the World? ‘Smart Economics’, Efficiency Approaches, and Gender Equality in Development”, Gender & Development 20 (3): 517–29. doi:10.1080/13552074.2012.731812. Covarrubias, K, Davis, B and Winters, P (2012). “From Protection to Production: Productive Impacts of the Malawi Social Cash Transfer Scheme”, Journal of Development Effectiveness 4 (1): 50–77. doi:10.1080/19439342.2011.641995. Davis, B, Gaarder, M, Handa, S and Yablonski, J (2012). “Evaluating the Impact of Cash Transfer Programmes in Sub-Saharan Africa: An Introduction to the Special Issue”, Journal of Development Effectiveness 4 (1): 1–8. doi:10.1080/19439342.2012.659024. Freeland, N (2007). Superfluous, Pernicious, Atrocious and Abominable? 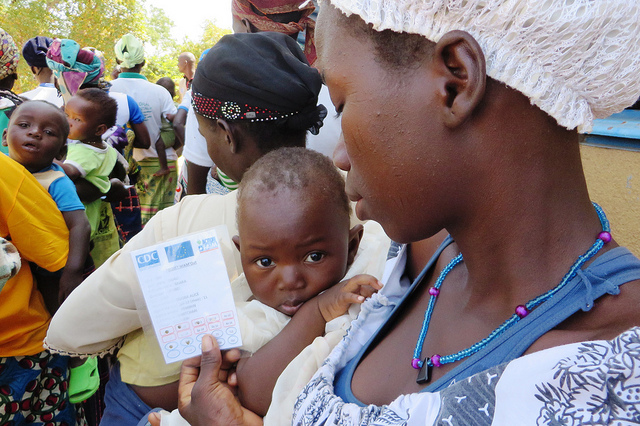 The Case Against Conditional Cash Transfers, IDS Bulletin 38 (3): 75–78. doi:10.1111/j.1759-5436.2007.tb00382.x. Gaarder, M (2012). “Conditional versus Unconditional Cash : A Commentary”, Journal of Development Effectiveness 4 (1): 130–33. doi:10.1080/19439342.2012.658635. Molyneux, M (2008). Conditional Cash Transfers: A ‘Pathway to Women’s Empowerment’?, Pathways to Women’s Empowerment Working Paper 5, Institute of Development Studies, Brighton, 1–92. Schubert, B and Slater, R (2006). “Social Cash Transfers in Low-Income African Countries: Conditional or Unconditiona?”, Development Policy Review 24 (5): 571–78. doi:10.1111/j.1467-7679.2006.00348.x. UNICEF (2017). Are Children Learning in School?. Accessible: https://blogs.unicef.org/evidence-for-action/children-learning-school/. Roeland Hemsteede is a PhD student at the University of Dundee, exploring how power relations at the national and international level affect the design and implementation of cash transfer programmes in Malawi and Lesotho. The views expressed in this blog are his personal views based on ongoing research and do not necessarily represent those of the research team he is a part of (www.cashtransfers-youth.net). Moreover, the nature and limitations of this blog means it only expresses broad ideas without the nuance and specificity that is required for a full understanding. It is intended to stimulate discussion rather than a definite and unchangeable argument.